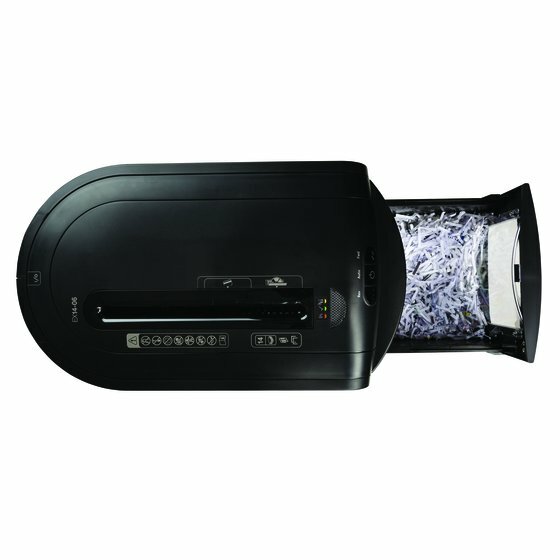 With sufficient security to shred confidential documents into little cross-cut pieces this advanced shredder has many user-friendly features. 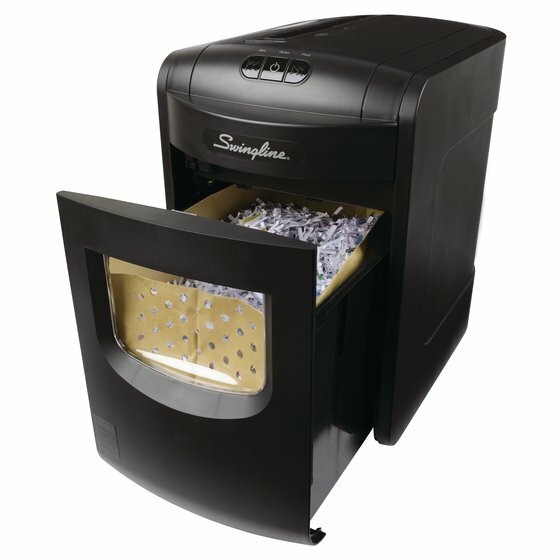 Continuous Jam Free technology means you can shred more with less hassle, up to 14 sheets in one pass. 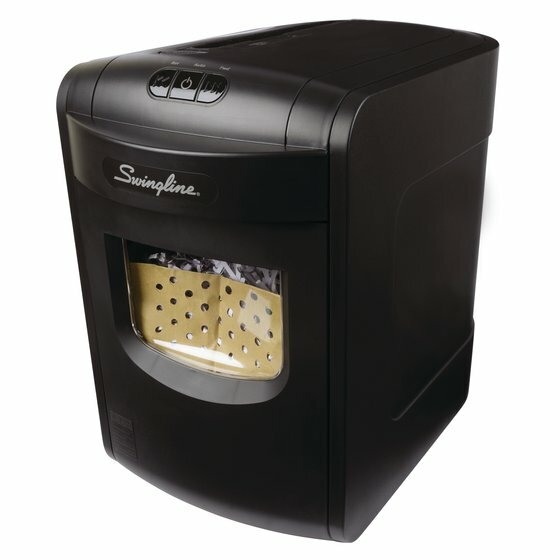 Designed to handle the shredding needs 1 or 2 individuals, this shredder is great for a personal or home office. 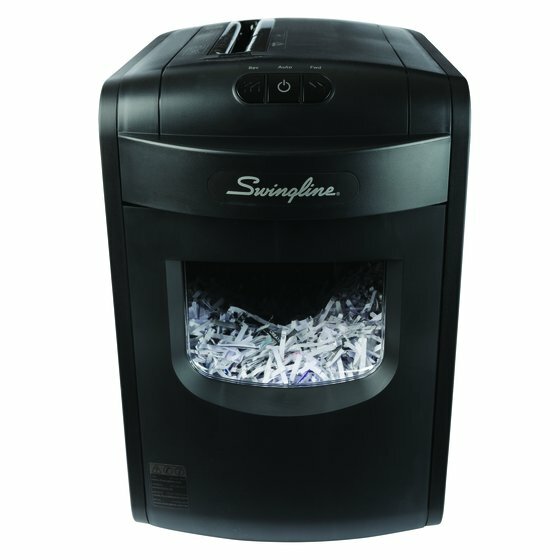 Ultra quiet, the EX14-06 shreds at a speed of 8.2 feet per minute and can shred for 8 minutes before needing a 40 minute cool down period. 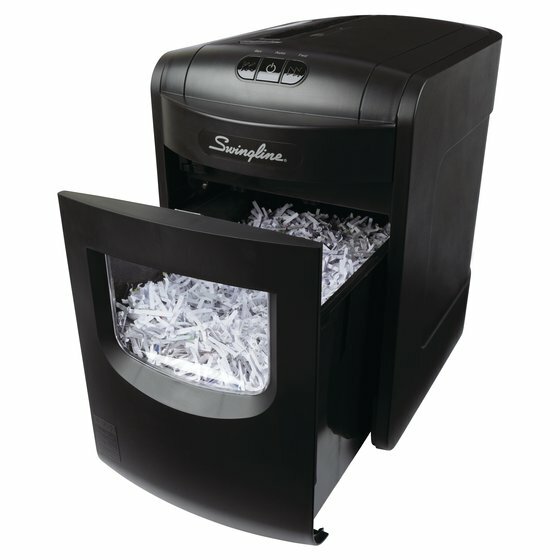 Patented technology works constantly to prevent jams before they happen during manual shred operation. 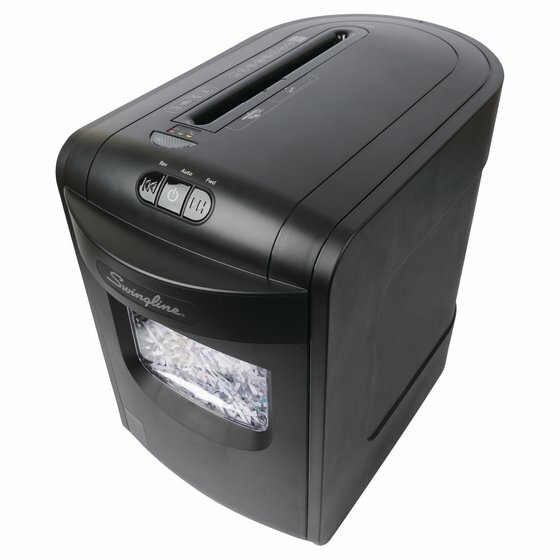 Red and green LED lights glow to indicate If you are exceeding the shredder capacity. 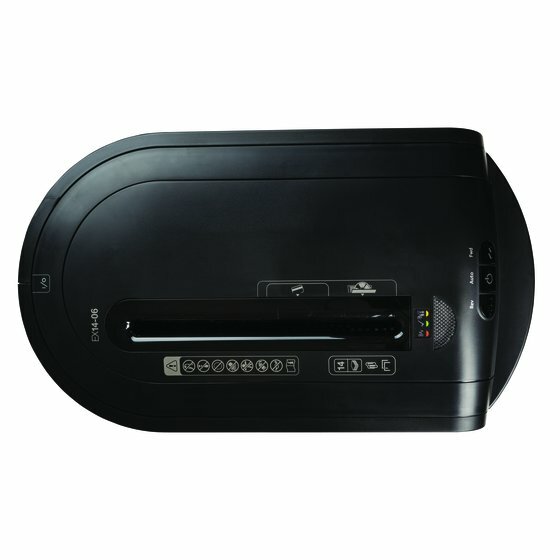 The EX14-06 can handle up to 14 sheets at once. The EX14-06 can shred DVDs and CDs to destroy digital files. 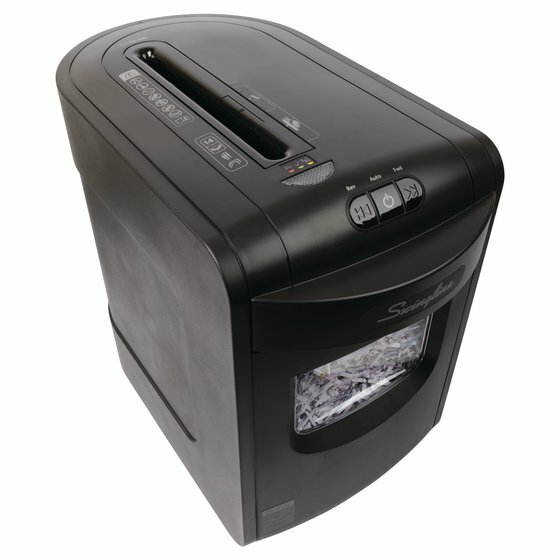 It can also safely dispose of credit cards for peace of mind and protection against identity theft. 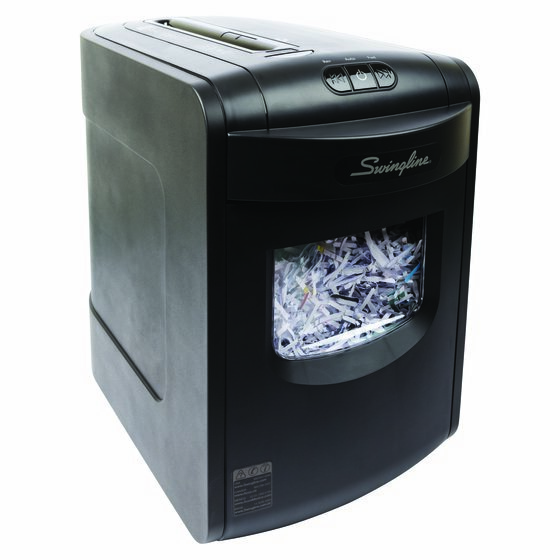 This executive shredder also eats through paper clips and staples for faster paper shredding.